There are many opportunities for you to be a part of your student's athletic career at Davidson. Volunteers are our most precious resource. 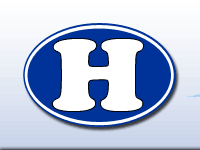 If you would be willing to donate your time in the coming school year, please take a moment to send us an email at hdvathleticboosterpres@gmail.com. We have community rewards you can sign up for. It is a great way to help! Our Kroger Rewards number is 91400. To sign up, log into Kroger.com and register this number on your Kroger Plus Card. (it is possible to split your reqards between 2 organizations). You need to renew your Kroger Rewards card every year on the anniversary.